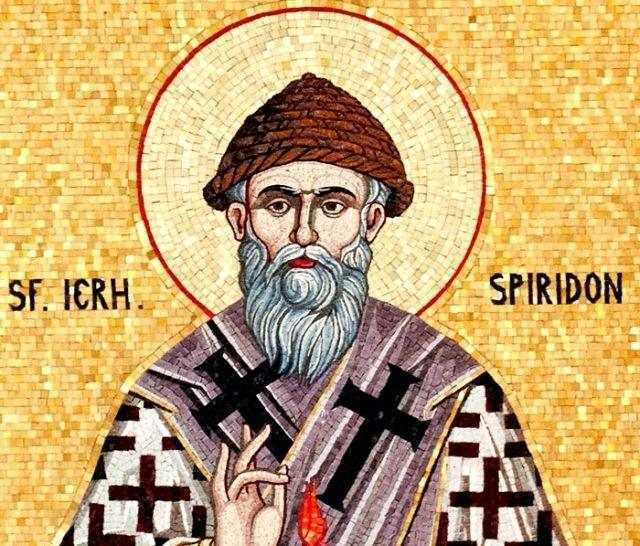 According to the witness of Church historians, Saint Spyridon participated in the sessions of the First Ecumenical Council in the year 325. At the Council, the saint entered into a dispute with a Greek philosopher who was defending the Arian heresy. 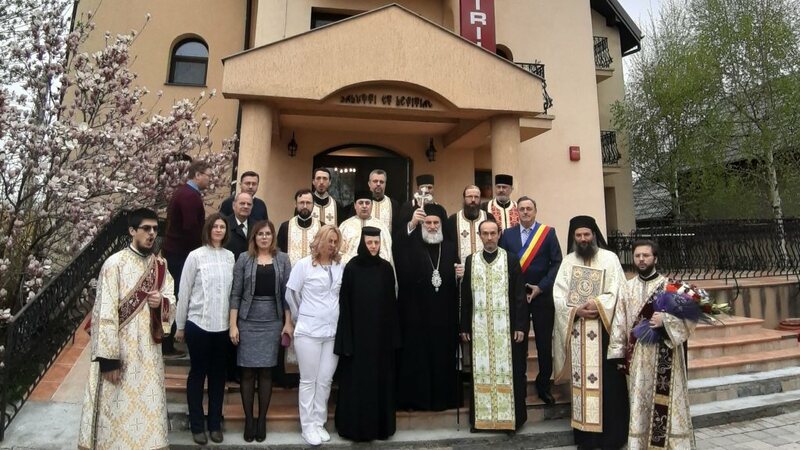 The power of Saint Spyridon’s plain, direct speech showed everyone the importance of human wisdom before God’s Wisdom: “Listen, philosopher, to what I tell you. As a result of their discussion, the opponent of Christianity became the saint’s zealous defender and later received holy Baptism. 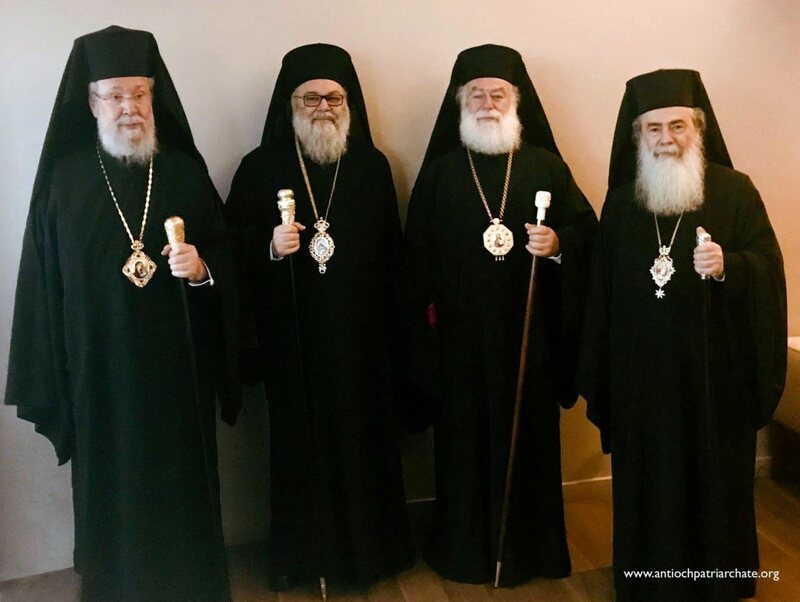 After his conversation with Saint Spyridon, the philosopher turned to his companions and said, “Listen! Until now my rivals have presented their arguments, and I was able to refute their proofs with other proofs. Saint Simeon Metaphrastes (November 9), the author of his Life, likened Saint Spyridon to the Patriarch Abraham in his hospitality. Sozomen, in his Church History, offers an amazing example from the life of the saint of how he received strangers. One time, at the start of the Forty-day Fast, a stranger knocked at his door. 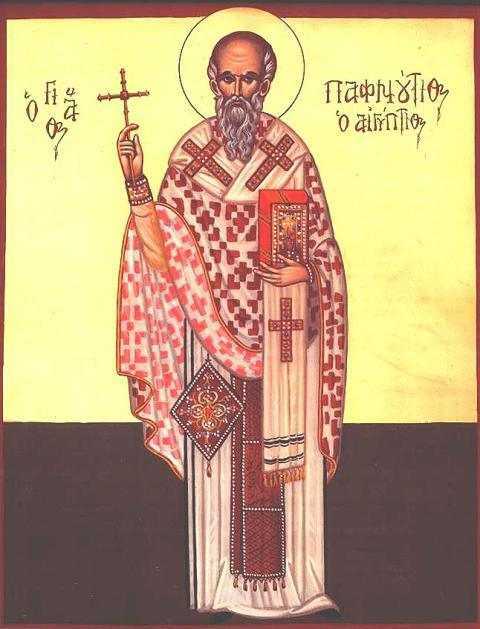 Seeing that the traveller was very exhausted, Saint Spyridon said to his daughter, “Wash the feet of this man, so he may recline to dine.” But since it was Lent there were none of the necessary provisions, for the saint “partook of food only on certain days, and on other days he went without food.” His daughter replied that there was no bread or flour in the house. 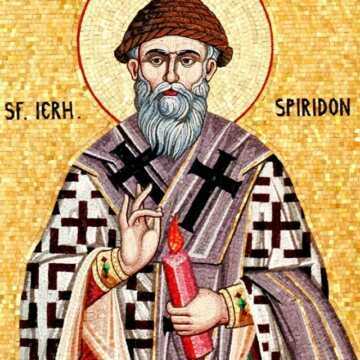 Then Saint Spyridon, apologizing to his guest, ordered his daughter to cook a salted ham from their larder. After seating the stranger at table, he began to eat, urging that man to do the same. When the latter refused, calling himself a Christian, the saint rejoined, “It is not proper to refuse this, for the Word of God proclaims, “Unto the pure all things are pure” (Titus 1:15). All the Lives of the saint speak of the amazing simplicity and the gift of wonderworking granted him by God. Through a word of the saint the dead were awakened, the elements of nature tamed, the idols smashed. At one point, a Council had been convened at Alexandria by the Patriarch to discuss what to do about the idols and pagan temples there. Through the prayers of the Fathers of the Council all the idols fell down except one, which was very much revered. It was revealed to the Patriarch in a vision that this idol had to be shattered by Saint Spyridon of Tremithus. 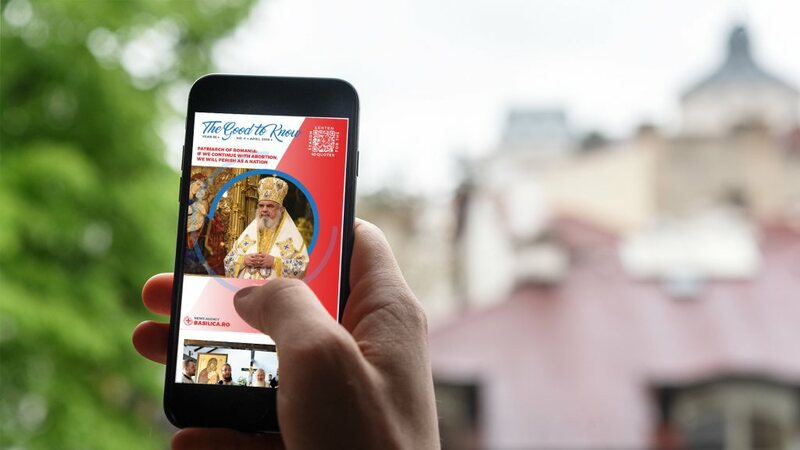 Invited by the Council, the saint set sail on a ship, and at the moment the ship touched shore and the saint stepped out on land, the idol in Alexandria with all its offerings turned to dust, which then was reported to the Patriarch and all the bishops. 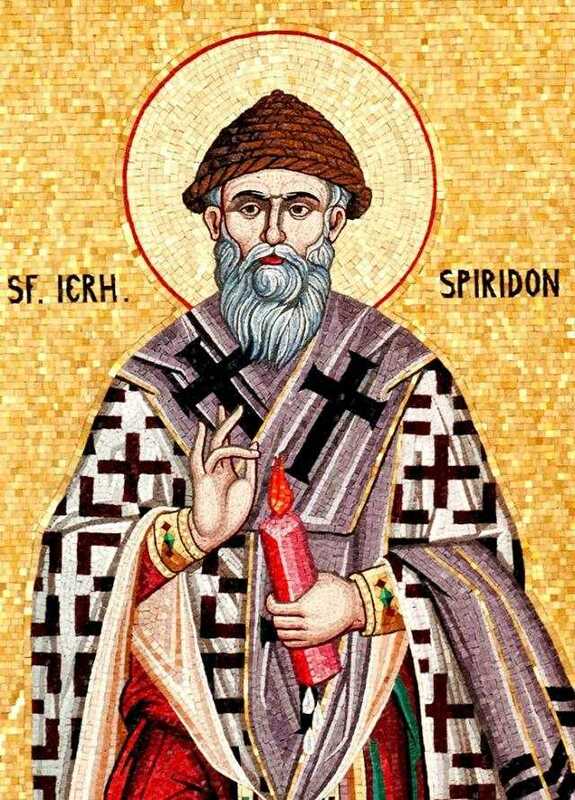 Saint Spyridon lived his earthly life in righteousness and sanctity, and prayerfully surrendered his soul to the Lord. His relics repose on the island of Corfu (Kerkyra), in a church named after him (His right hand, however, is located in Rome). His memory is also celebrated on Cheesefare Saturday.